Strawberry season is in full swing and I am making the most of it from baking my favorite treats, preparing preserves and eating them fresh from the basket. It was hard to narrow down my favorite uses for these versatile sun kissed berries but I am pretty happy with the selection. Have your tried any of these strawberry recipes? If so, what did you think? Let me know in the comment section below. No bake strawberry shortcake is as easy as whipping cream - literally, that's all the work you have to do for this recipe. Whipped cream is mixed with vanilla pudding mix and layered with slices of store bought sponge cake and fresh strawberries. It is simple, easy and delicious. Strawberries are wonderful in savory recipes as well as sweet. Fresh strawberries, spinach and goat cheese come together beautifully in this simple salad. I love the idea of incorporating strawberry jam in the dressing because it adds sweetness and intensifies that strawberry flavor. If you want to turn this salad into a main course, a grilled piece of chicken would be lovely. I think you will be impressed by how well these flavors marry together. Roasted strawberry sundaes are an easy way to spruce up your typical bowl of ice cream. Fresh summer strawberries are roasted with balsamic vinegar and honey to create a dynamic and intensely flavored sauce. The strawberry balsamic jam is drizzled over ice cream to provide a perfectly balanced dessert. Feel free to add other ingredients like chocolate chips or toasted almonds. 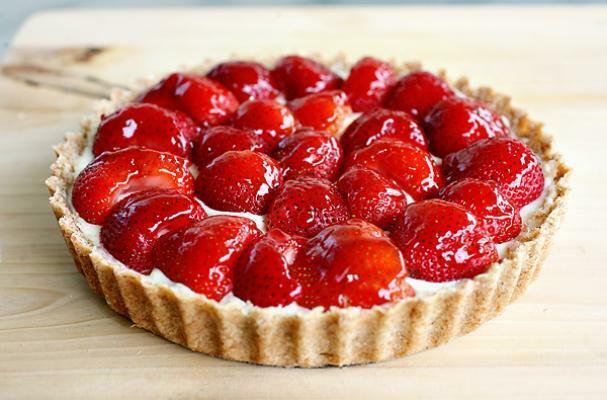 Celebrate strawberry season the right way with a delicious strawberry cream cheese tart. A homemade buttery crust is filled with cream cheese, sugar, strawberry preserves, and fresh strawberries. This recipe only requires a few ingredients so you really want to use the best strawberries you can find to really highlight that fruity flavor. This strawberry and cream cheese tart is the perfect example of sensational seasonal baking. 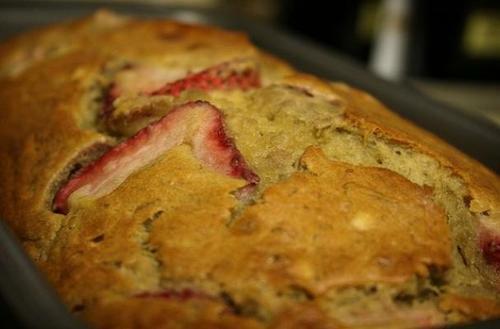 This irresistible strawberry bread will put a spring in your step in the mornings. Sweet slices of strawberry and mixed in a standard quick bread that is flavored with cinnamon and chopped pecans. Fresh or frozen strawberries would work in this recipe. Spread each slice with a thick layer of cream cheese and strawberry preserves for a berry good breakfast.